Getting approved for financing is difficult enough, and applying for no credit check auto loans only gets more difficult. That is why we here at AutoNet Financial want to help you acquire a car loan with no credit checks required from you on your application. AutoNet Financial has been helping people find no credit check car loans for the last 22 years with great success. We specialize in auto loan deals for bad credit scores and many of the finance options we can provide are perfect for people looking no credit check loans as well. You can get approved for financing cars with no credit easily, and be on your way to buying a great vehicle for yourself. 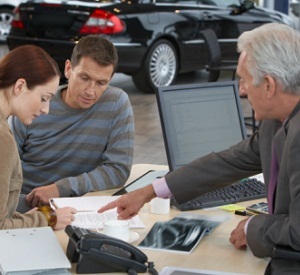 Many online auto finance companies have options for people with any type of credit. A bad credit auto financing is not going to score you the best deal but they will get you into a vehicle to keep you mobile. Typical no credit financing requirements are as follows. The current auto loan rates that you commonly see advertised are typically for those with near perfect credit. Although you still can be approved, having a less than perfect credit history will not qualify you for these rates when trying to finance a vehicle with no credit checks on a new or used car. But if you can stay on schedule with your regular payments, later on down the road you may choose to refinance your no credit check auto loan for a better interest rate. Be sure to check each vehicles history before putting anything in writing. This goes with every used car purchase, but especially for those purchased with no credit auto loans from banks. Most commonly people will only look at carfax report to determine the previous quality of the maintenance preformed on a vehicle. While a vehicle history report is a good starting block, not every repair shop and insurance companies report to them. It is best to take the vehicle to an ASE certified mechanic before signing the dotted line. Applying online is one of the easiest and quickest ways to get approved for auto financing with no credit check.